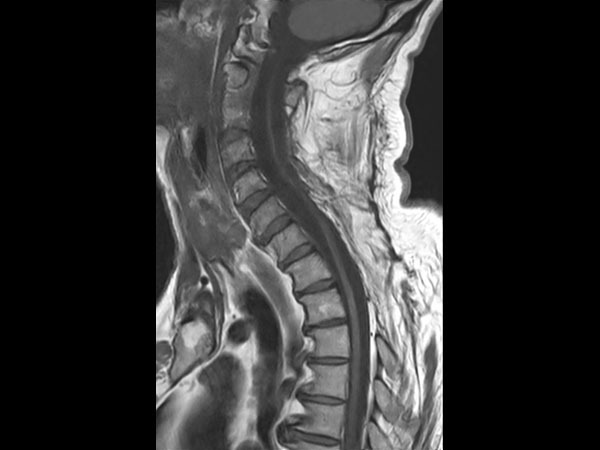 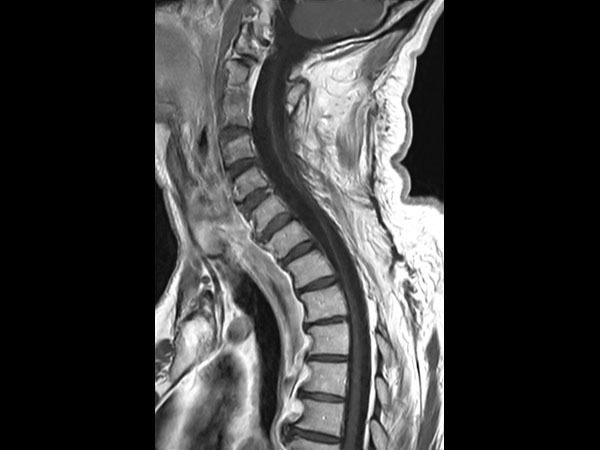 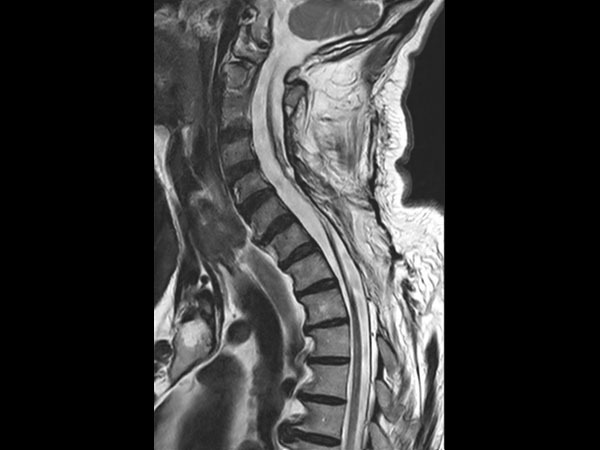 51 year-old man with poor general health and neurological disturbances. 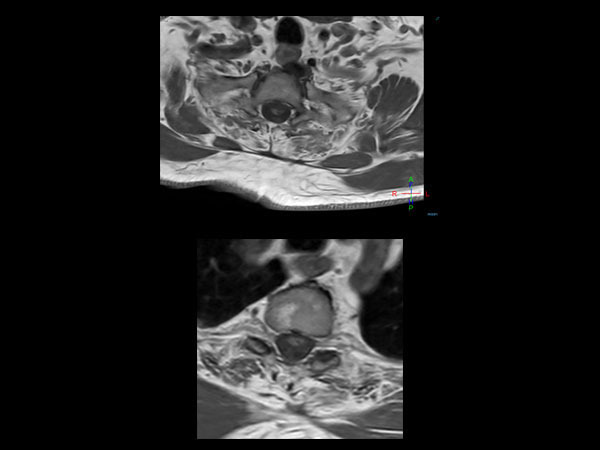 Histological examination of the surgical specimen led to the diagnosis of lipomatous ependynoma. 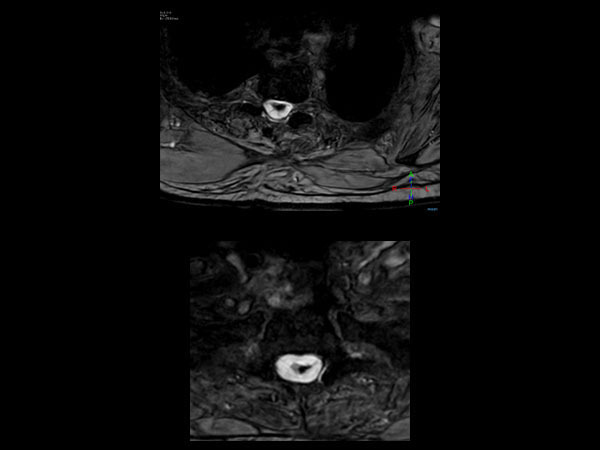 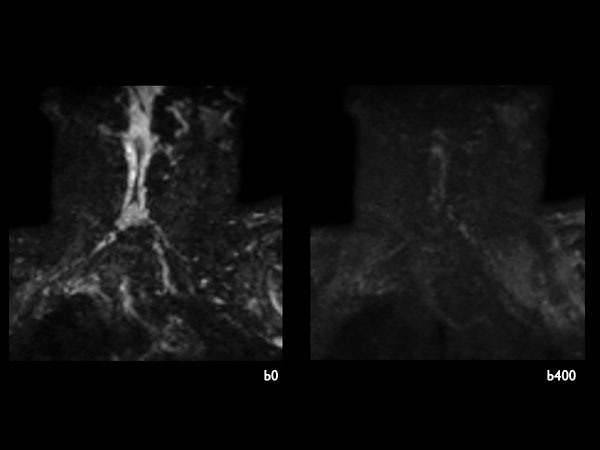 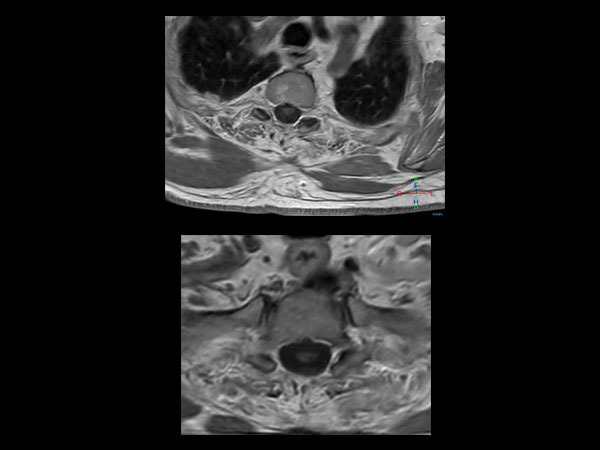 Post surgery MRI (resected ependynoma) performed with dS HeadNeck coil with coverage till T4.